I know this isn’t you, right? But the biggest problem most marketers face is they just don’t invest the time to flesh out a clear, compelling big idea. They throw together a lousy idea, then think the way to improve it is to load it up with hype-y copy or false scarcity or a lot of countdown timers and widgets. If you look at a company like Agora, a half-a-billion-dollars-a-year behemoth, you will notice that they don’t have that. They don’t rely on false scarcity. Not that you should never use scarcity in your marketing. But scarcity can’t be the only thing you rely on to make a sale. We are in the idea business, not the scarcity business. When your prospect says, “Tell me more!” to you, it means they are intellectually and emotionally interested, and they are excited about the payoff. How often have you seen a headline like, “How to get rich with stocks!” It’s a boring headline because it’s a very weak idea! So then the marketer tries to spruce it up and writes: “How to get filthy rich with stocks! How to get wealthy!” It just doesn’t help because at the root, it’s still a lousy idea. SEE HOW with the FREE 4-part video masterclass NOW! Here’s the right way to do it. Develop a big idea that gets attention and creates engagement. Then share your message by bringing your prospect through an EBM sequence. This sequence must be designed to get them to believe what they need to believe in order to make a buying decision. That is persuasion. It’s not selling. Selling is when you’re talking about you, the product, the product’s features, the benefits, the advantages, and the price point. All of that information should be the last 20 to 25% of the funnel. But you can’t even go there – to the selling part – until you know they have the right beliefs that have prepared them to buy. That’s why I love the analogy of the prosecutor. 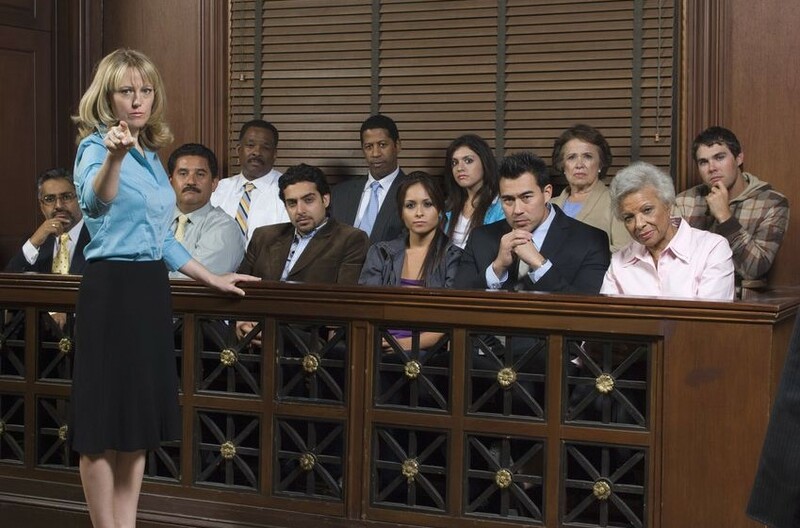 If you lead them through that process effectively, when you get to your closing argument – your call to action – they are ready to pronounce the defendant guilty. For you, as a marketer, the prosecutor’s closing argument is the equivalent of the sales portion of the funnel, as I said, the last quarter of the EBM content. The first three-quarters of the content is when you establish beliefs in the mind of your prospect, in the same way the prosecutor establishes beliefs in the minds of the jury. Only then do you present YOUR closing argument, the sales portion of your content. To do this well, you have to go deep. Don’t just ask, generically, “What do my prospects believe?” Instead, ask, “What do they need to believe about ME? What do they need to believe about the INDUSTRY? What do they need to believe about THEMSELVES?” Create content that educates them while instilling these core beliefs. Do some research in forums and in Amazon and in social media groups, and identify as many as six or seven different beliefs. THEN develop your big idea. Make it something intellectually and emotionally interesting. Something compelling. Something that catches their attention immediately because it speaks to their core beliefs. Only then are they ready to buy.